That makes well over $100 million raised to date. Incredible. I spent much of my weekend time watching the live stream and made a last minute donation (I've always seemed to do this as an alum). In other happy news, Tim and I have decided to treat House of Cards like a weekly series so we don't go through withdrawal too soon. We had a HOC date Saturday night. The show keeps getting better. We're serious about the show... On Saturday, I met up with a law school friend in town. Needless to say, I did not eat paleo at Lou Malnati's. Unless you count cesar salad, fried calamari and deep dish pizza as paleo... I did get back on the workout and paleo train right afterwards. 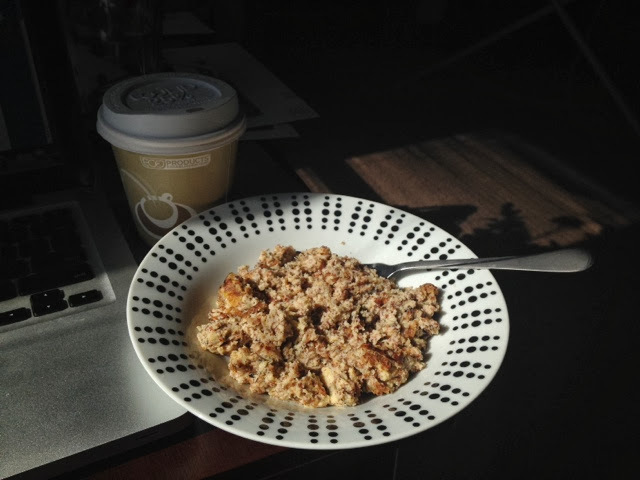 And on Sunday morning, I inadvertently made paleo oatmeal. Almond flour + 1 egg + 1 smashed banana + water is all it took and it was deeeeeelish! I've never been more excited to "mess up" a meal. 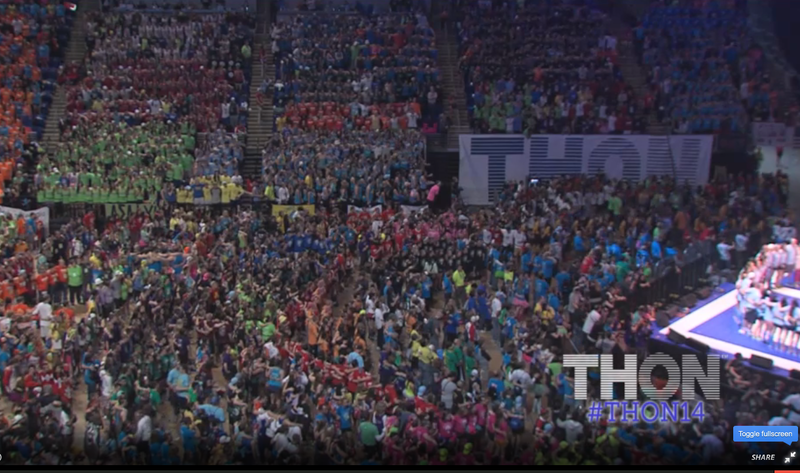 But it still didn't beat the excitement I felt while watching THON. 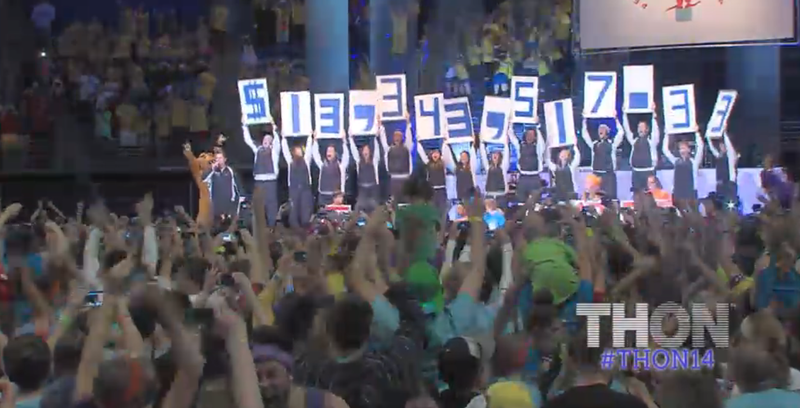 You can donate all year long at THON.org. I couldn't resist and have already finished Season 2 of HOC haha! That oatmeal looks delicious! 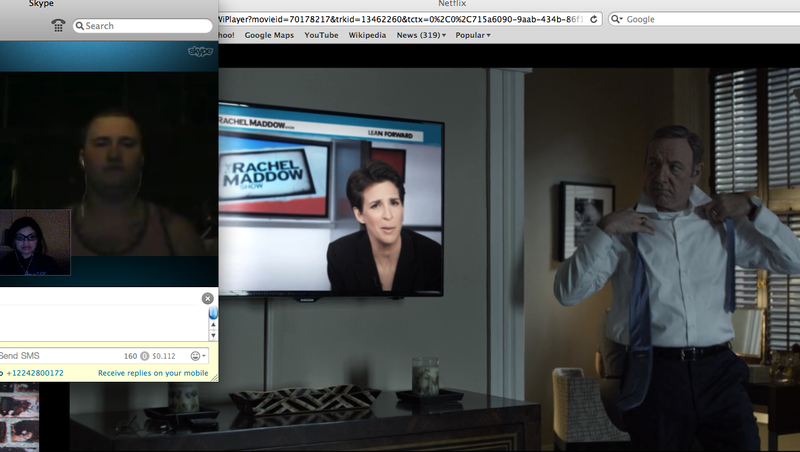 I really need to jump on this House of Cards train!